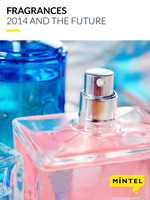 This global annual market overview will provide you with an in-depth review of the key issues in the global fragrances market through 2014 as well as our forecast for what will happen in 2015 and beyond. In 2014, the global fragrance market was led by Brazil, the US, France, Russia and the UK. Despite a slowdown of its economy, Brazil has experienced strong growth over the last five years. The universal usage of fragrance and the strong penetration of local brands make it a unique market. However, international premium brands are slowly appearing among Brazilians’ fragrance preferences and this will change the market landscape over the next coming years. Meanwhile the second biggest global market, the US, is declining in value, alongside other mature European markets. The sheer number of product launches in these markets creates consumer confusion and are largely irrelevant to many fragrance users who tend to buy fragrances for their scent and familiarity rather than by brand or novelty. More bespoke services, a focus on olfactory experience and education have been at the centre of new retail concepts in 2014. It highlights the need to change the way fragrances are sold as well as the need to slow down the pace of new launches to focus on better positioning and quality. The strongest growth has been generated by Asian countries, including Indonesia, India, Vietnam, South Korea and Chile.